Barbara J. Stutz, 81, of Van Wert, died at 11:55 PM Sunday, April 14,,2019 at Defiance Inpatient Hospice Center. She was born May 26, 1937 in Mandale, Ohio the daughter of Lawrence and Clara Marie (Hockenberry) Schisler. On June 2, 1957 she married Billy G. Stutz and he preceded her in death September 8, 2003. She is survived by her children Diana Marie (Jody "Bones") Terrell of Convoy, Ohio- Mark (Dawn) Stutz of Van Wert- Jay (Julie) Stutz of Scott, Ohio- Bruce (Deborah "Mick") Stutz of Van Wert, 11 grandchildren and 20 great-grandchildren. In addition to her husband and parents she was preceded in death by a brother, Ralph Schisler. 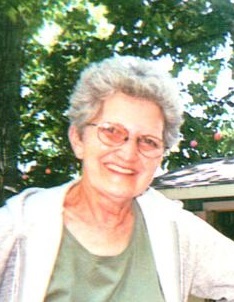 She was a retiree of the former Borden Foods plant in Van Wert.Barbara loved the outdoors especially going camping and fishing. From an early age she became an enthusiast of all types of auto racing and enjoyed going to the major races as well as the smaller ones. She loved country music and going to country concerts. Funeral Services will be at 11:00 AM Friday April 19 at Brickner Funeral Home with Hospice Chaplain Ellen Mitchell officiating. Burial will follow in Woodland Cemetery. Friends may call at Brickner Funeral Home Thursday , April 18, from 1 - 7 and on Friday 10 to time of service at 11:00 AM. Preferred Memorials are to Community Health Professionals Hospice.